Donate your car, truck, motorcycle, RV, or boat to benefit Komen Greater NYC, you're helping save lives right here in our own neighborhoods. Your donation provides funding for research aimed at finding new ways to detect, treat and prevent breast cancer, and services that ensure everyone has access to quality care when they need it. At no cost to you, Komen will arrange to pick-up your car, truck, boat, motorcycle, RV, or other qualified vehicle in the greater NYC area. Upon sale, we will provide you proper tax forms. Our customer service representatives are available to assist you through the process and may be reached by calling 877-77-KOMEN (877-775-6636). You may support Susan G. Komen Greater New York City in a variety of ways, including through your estate planning. 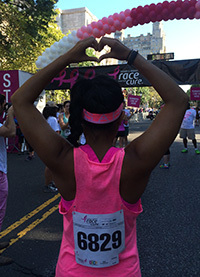 Incorporating Komen Greater NYC in your estate plan will not only assist you in reaching and achieving your own philanthropic and charitable giving goals, but it will also allow Komen Greater NYC to continue funding breast health education, screening and treatment programs as well as working to fulfill our mission of discovering and delivering the cures for breast cancer.